This week Google has released a new feature to the AdWords Beta platform, called ‘Responsive Adverts’. This is the first major change to advert style since Expanded adverts were introduced in 2016. The new update allows AdWords users to expand their advertising potential— quite literally! Responsive adverts have presented the ability to include additional information with an increased character allowance in both the description and headlines by a staggering 130 characters in total. An even more pivotal feature is the ability to show a third headline and a secondary description when advertising via Google search. The most interesting feature is the use of machine learning alongside the responsive adverts. Using this new feature you have the option to create up to 15 headlines and 4 descriptions. Google will then rotate each element in order to gauge which message elicits the most interaction in combination with each other. You can give Google full control as to how the information you have in-put falls into the rotation or alternatively you can enforce some control over the positions each message appears in. To explain this a little further, this element is called ‘pinning’ text. If you are already confident that your current first headline works and would prefer Google not to rotate this particular text, you can ‘pin’ the headline to position one. This then assures that the particular text will remain static throughout the adverts exposure. You can then test other messages, such as the calls to action by pinning several headline messages to position 3. Pin 1 and 2 would remain as a constant message in both headlines one and two. Whereas Pin 3 will be interchangeable during visible search results.. You can even pin all 3 headlines to various text to experiment one step further with different message combinations. The same is true for descriptions, with the option of 4 different message boxes. Google will then decipher which combination of headlines and descriptions has the most favourable results for your business. But wait, the additional features continue! Through the data-driven learning as mentioned above, Google will automatically learn the correlation of all performance metrics, such as demographics, time elements, locations, devices plus much more. They will then gradually optimize each advert combination automatically, based on what the machine learning has discovered through the combination of specific performance variables and lead interaction. For example, one discovery could be women aged 24-35 respond far better to the call to action of “5% off if you book today’ headline after 5 pm. This enables the campaigns to have a much more accurate targeting strategy. The advert message combination will show at the proven, optimum opportunities to push businesses closer to reaching their advertising goals (whatever they may be) more efficiently, potentially reducing both time and money. Dave Baker (US/UK Paid Search Account Manager): “I am looking forward to experimenting with Google’s machine learning feature to optimize my clients’ accounts, I can really see the potential benefits, we will be able to control advertising budget more efficiently”. Here at Click Convert, we are lucky enough to get to trial the new ‘responsive advert’, in fact we are one of the first agencies in the UK to get this privilege. 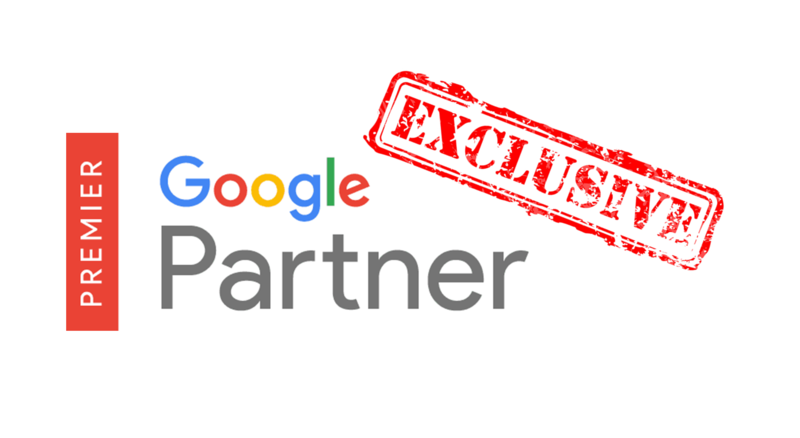 For now, it is only available for a limited selection of Adwords accounts across the UK and US. We will be starting to introduce the new adverts across our accounts in order to be well rehearsed before the responsive adverts qualify as a permanent feature on the Adwords Platform. Ensuring our clients are at the very forefront of advanced marketing strategies, to continue to stand apart from the competition on Google and continue to drive their businesses forward. Danielle Owens (Paid Search Account Manager US and UK): “It is exciting to have access to Google’s newest features before everyone else. We have more time to learn how to best implement them into our current campaigns, which will automatically push our accounts ahead of the market”. Once response adverts are fully integrated into the Adwords platform, the importance for businesses to have a presence with Google advertisements will most certainly appear much more essential. Organic results will be forced downwards in the search results to allow for the larger paid adverts, which could mean disaster for those who rely solely on SEO ranking. Dan Bebb (Head of Paid Search Operations): “The new responsive ads will mean paid advertisements will dominate the results page real estate, pushing our clients’ brand names to the forefront of their markets. I can’t wait to get stuck in and see how this feature will change our advert creation strategy”. I guess for now we just watch this space to see the full impact of the new feature…. Very interesting. Nice to have more scope. Could you add images to the blog post to indicate how it looks?